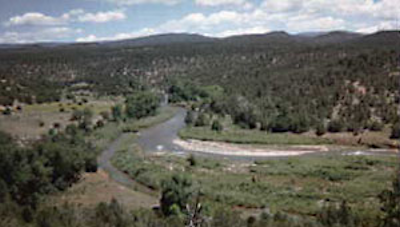 The Pecos Valley Artesian Conservancy District (PVACD) was created by Order of the District Court of Chaves County, New Mexico, on January 11, 1932. The district was created to conserve the waters of the Roswell-Artesian Basin, including the lands within the Basin located in both Chaves and Eddy Counties. Over the last 70 years, PVACD has participated in joint studies with the New Mexico School of Mines, USGS, OSE, and the ISC to further understand the hydrology of the basin. Irrigation in the basin reached an all time high in 1953 and 1954 with approximately 144,600 acres under irrigation. Water levels in the aquifer began to decline allowing saline encroachment north and east of Roswell. The PVACD in conjuction with the State Engineer initiated a hydrographic survey of the basin in order to determine the extent of total irrigated acreage and use of water in the district. This data was to be used in defining existing water rights. 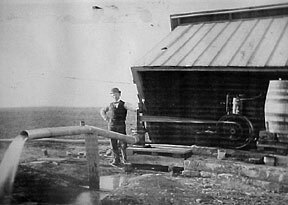 1956 started the adjudication process in the basin. The process lasted over a 10-year period and resulted in the reduction of 12,000 irrigated acres. A Decree was issued in 1966 by the court requiring all groundwater use to be metered and irrigation use limited to an annual diversion of 3 acre feet per acre. To aid in the preservation of water within the basin, PVACD instituted a low interest loan program to farmers for conservation measures. 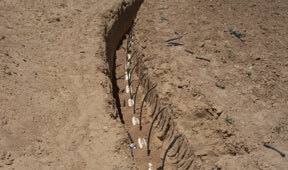 These measures include ditch lining, field leveling, sprinkler and drip irrigation systems, and other methods to increase the efficiency of farming practices. Between the years 1958 and 1983, the PVACD purchased and retired almost 7,000 acres of irrigation water rights in an effort to bring the groundwater basin into balance. Through the efforts of the PVACD, wells are once again flowing and the basin has regained stability. The District has been, and will always be, committed to the continued conservation of its most precious resource...WATER.